The average life expectancy of a cat is between 12-18 years. But with today’s technological advancements in veterinary medicine, your furry friend just might live into her 20s. Generally, cats between the age of 11-14 are considered senior. At East Valley Animal Hospital in Gilbert, AZ, we offer the highest quality of care for pets at every stage of life. And we know that, depending on their level of health, caring for elderly cats requires a little more effort and attention. Along with the aging process of your cat, there are a number of behavioral changes that are normal and do not necessarily indicate a more significant underlying issue. If your cat has been part of your family from the time she was a kitten, you know her behavior quite well. However, even a subtle change in her behavior may indicate illness or disease. 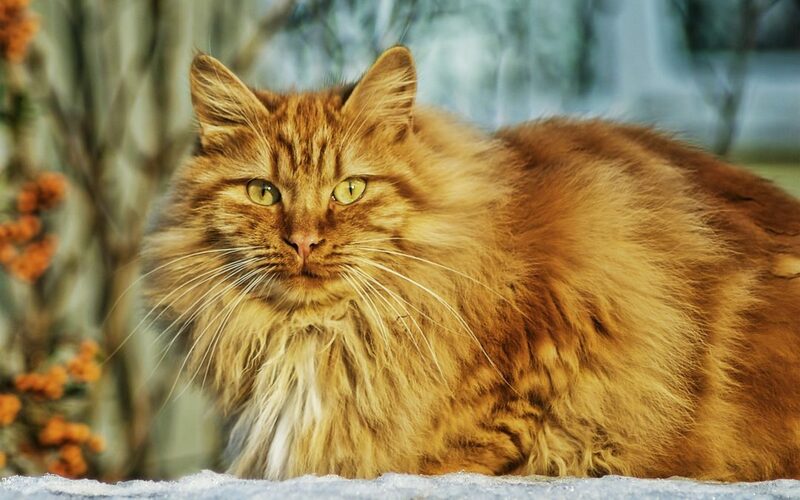 Keep a close eye on these behaviors and consult one of our skilled vets at East Valley Animal Hospital if you notice any concerning changes in your elderly cat. Make sure food, water and litter box are easily accessible. As your cat ages her joint function will limit her mobility and ability to jump. If you used boxes with high sides in Fluffy’s younger years, consider getting a box with shorter sides in her older years. And if you have a multi-story house, provide litter boxes on each level. The claws of an aging feline become thick and brittle and may require more frequent clipping. Loss of vision and hearing is a natural part of aging. If your cat has lost much of her hearing or vision, remember to approach slowly and with care in an effort not to startle her. As your cat begins to groom herself less, you might need to step in and gently groom her to keep her fur from matting and creating inflammation or skin issues. Exercise and activity are still important for the health of older cats. Engage your cat in moderate play to keep her activity levels up. If your cat has a favorite spot to lounge (such as a windowsill) that becomes inaccessible due to the aging process, consider getting a ramp or steps that allow them to access their happy place. Provide your cat with a healthy and nutritious diet. Consult your vet if you are unsure of your aging cat’s necessary caloric intake. If your cat maintains good health as she ages, her older years can still be enjoyable for both you and her. Educating yourself on the unique needs of older cats will better prepare you to be of help in her later stages of life. And as needed, our compassionate vets at East Valley Animal Hospital are here for you and your precious companion, to help make the aging process a positive experience for you, your cat, and your household.